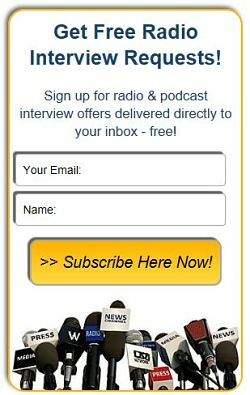 Chris Burres, Co-Founder of SES Research, Inc. - Radio Guest List.com - How to Get Radio Interviews and Find Podcast Guests! Chris Burres, Co-Founder of SES Research, Inc.
Can Nobel Prize-winning chemistry double your lifespan? Chris Burres, Co-Founder of SES Research, Inc., would like to share the answer to this question, as well as the details of the 2012 longevity study which showed a novel form of Carbon (C60) to increase the lifespan of mammals by 90%. The implications of this study are that the average human could live to 150 years of age. VitalC is special blend of Nobel Prize-winning chemistry, Carbon 60, in organic extra virgin olive oil. This revolutionary organic nano antioxidant is a health supplement that's changing people’s lives! Chris would also like to share his unique journey from Carbon Nanomaterial scientist, through Nobel Prize-winning chemistry, to Paris, France for a toxicological study turned longevity study, to ultimately delivering value and amazing results in unanticipated areas of health. What started out as a study to determine the toxicity of C60 ended up with some startling results - scientists were trying to discover the maximum amount of C60 a mammal can take before it produces negative effects. Instead, they found that C60 was NOT toxic, but actually increased test subject’s lifespan by 90%. All of this begs the question: What’s the value of living so long if you’re in poor health? Chris can discuss thousands of amazing testimonials from tons of different people taking C60 and seeing incredible results. Chris has a unique insight into an industry that affects all of us: health and wellness. As one of the founders of the first company to ever deliver commercial quantities of carbon nanomaterials and the largest supplier of C60 on the planet, Chris brings a unique, scientific perspective to a rapidly growing segment of a multi-billion dollar supplement industry. In addition, he is a long-time host of an internet marketing podcast and a former improv artist; he can bring fun, lively interactions to the host's audience while discussing health and wellness. We can promote it on our Facebook Page.